Eva is co-founder of contento.tech, a crowd-based content generation platform that helps businesses grow faster and expand to new markets without the high risk of hiring and managing a dedicated content team. 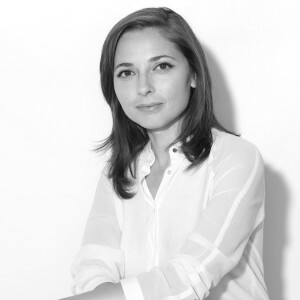 Eva is a digital entrepreneur, previously a co-CEO, Products & Markets, at Fashion Days Group – a multi-brand online retail business with over 6 million clients in the CEE region. She’s a founding member of the company in Bulgaria in 2011 and later takes the chief executive position. Prior to Fashion Days, Eva worked in digital products and online marketing in companies such as Netinfo & Sciant (today VMWare). Eva studied International Management and Marketing in Germany and later majored in Visual Communications in Italy. Eva is recognized as the Most Endeavorized Mentor for 2017.